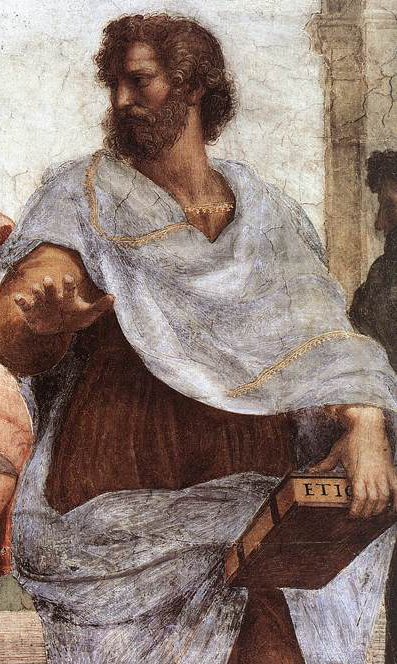 Spoiler Alert: I can only reveal once you fully appreciate the useful parts of Aristotle’s idea. Have you ever had to – or will you ever have to – speak in front of an audience? It could have been (or be) an audience of one hundred or an audience of one. In either case, you may have noticed what happens when you’re in the audience watching other people speak. Sometimes you enjoy the presentation, sometimes you’re bored to tears. And it’s not based on the nature of the subject. Most speakers employ some variation of Aristotle’s Model of Communication. While roughly based on his Treatise on Rhetoric, it does not directly incorporate the persuasive tools Aristotle outlines in that classic volume. Indeed, neither does it involve the five canons of rhetoric, although this makes more sense since Cicero identified them centuries after Aristotle’s death.